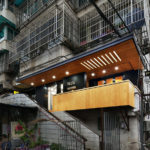 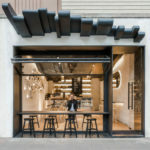 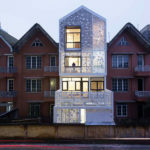 Vo Trong Nghia Architects have recently completed the renovation of a cafe in Vietnam, that’s housed on the top floor and rooftop of a concrete building with a colonial style facade. 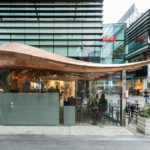 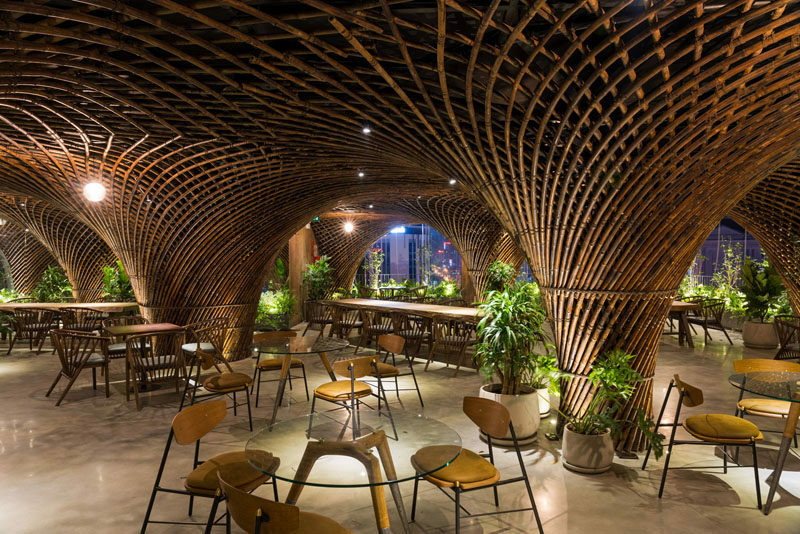 After the designers studied several local materials such as brick, stone, etc, the decided to work with bamboo, as they knew it was easily accessible in their tropical climate which reduces construction time and budget. 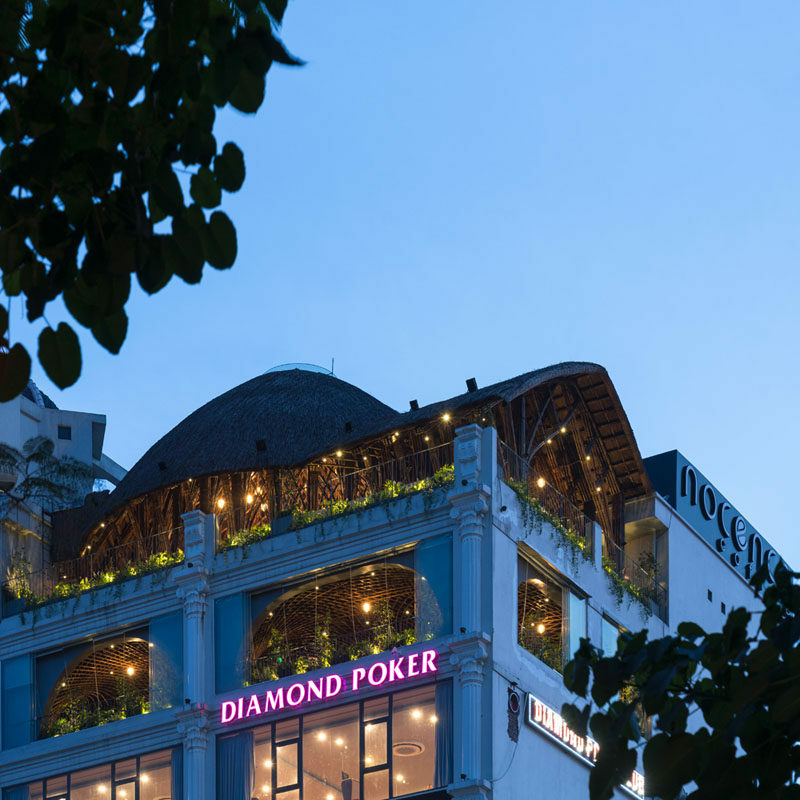 The Nocenco cafe has a large dome structure on the roof, which can be recognized from any place in the city, and creates a roof top club that’s now a gathering space for all the inhabitants of Vinh city. 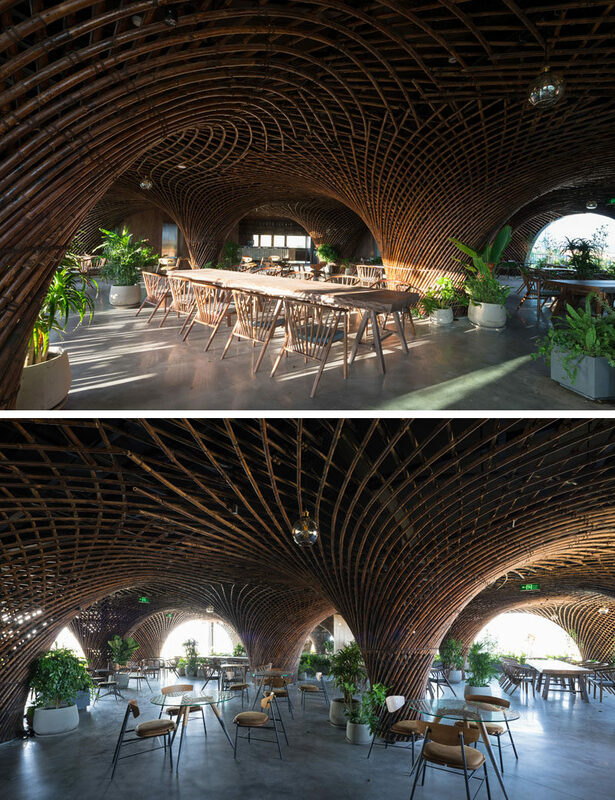 Every area of the cafe has a view of the surrounding city. 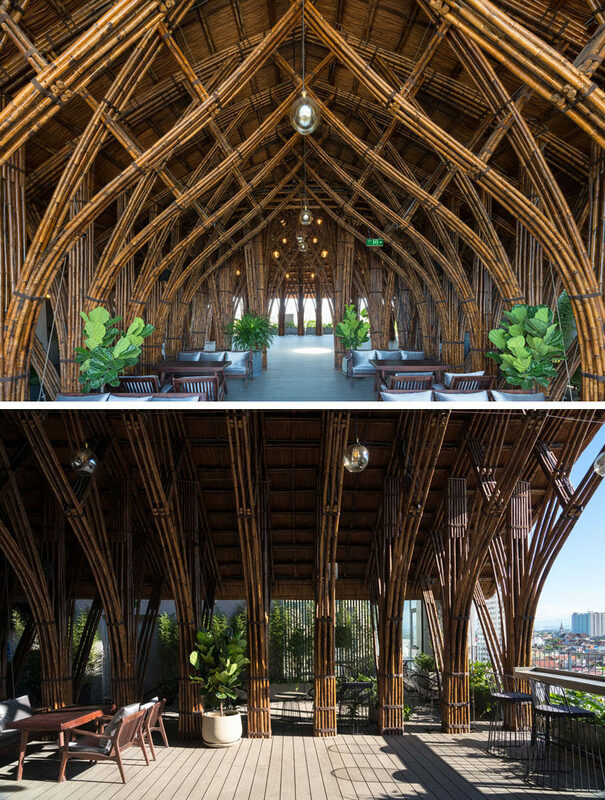 On the lower floor, the cafe has a total 14 bamboo columns, with some of them hiding the existing concrete structure. 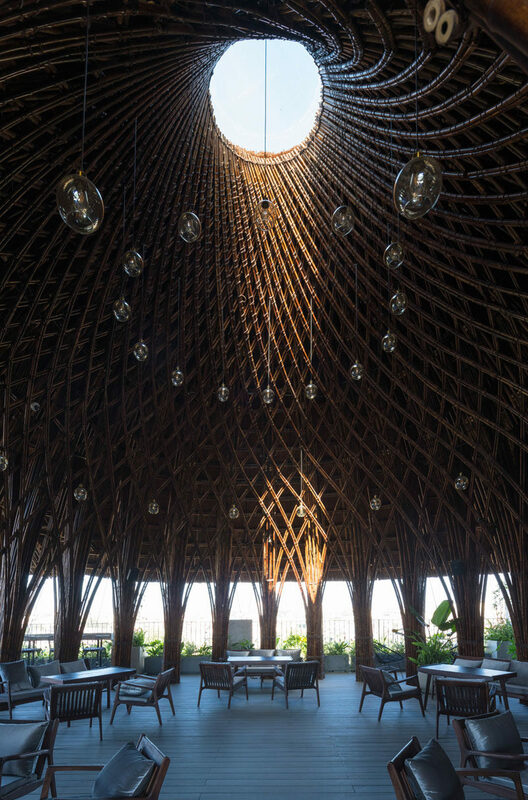 These columns are used divide the space into different private areas, and enable to woven bamboo structure to create a cave-like experience for the guests.